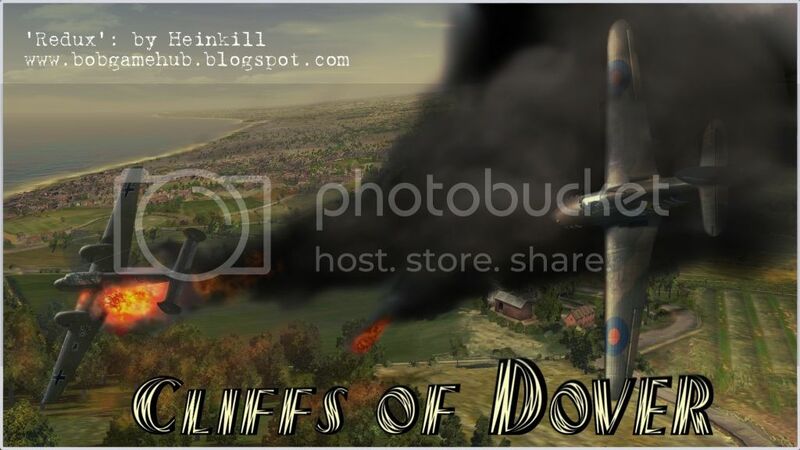 A modded version of the stock Cliffs of Dover campaign based on the exploits of ‘Red’ McColpin, one of the first US airmen to serve with the RAF in WWII. The official US Airforce biography (next page) skips quickly over his time in the RAF but after serving initially with the RAF's 607 Squadron, in May 1941 McColpin joined the second Eagle Squadron, No. 121 Squadron, as a pilot officer and then went to No 71 Squadron, the 1st Eagle Squadron. No. 71 was formed at RAF Church Fenton on 19 September 1940 with Brewster Buffalos. Appraisal by Royal Air Force acceptance personnel criticised it on numerous points including lack of armament and pilot armour, poor high-altitude performance, engine overheating, maintenance issues, and cockpit controls, while it was praised for its handling, roomy cockpit, and visibility. The aircraft were deemed unsuitable for European conditions Hawker Hurricanes replaced them from November and Spitfires from August 1941. In November 1941 he was awarded the Distinguished Flying Cross. In January 1942 he was posted as a flight commander to the 3rd Eagle Squadron, No. 133. McColpin went back to the United States in June 1942 to participate for 10 weeks in a War Bond tour followed by 4 weeks home leave. On his return, being an American, an ace and having served in combat with all three Eagle Squadron, McColpin was appointed to command 133 Squadron. General McColpin was the only American to fly combat in all three RAF American Eagle Squadrons. His total missions in these Squadrons exceeded three hundred, including missions flown with 607 Squadron. He was a double ace before Pearl Harbor and was the first American to be decorated, in Buckingham Palace by King George during World War II. McColpin was credited with 12 kills, 5 probable, and 12 damaged. Carroll Warren McColpin was born in Buffalo, N.Y., in 1914. He participated in civilian flying activities in Los Angeles, Calif., and in 1936 obtained his pilot's certificate. In November 1940, he volunteered for duty with the Royal Air Force and was commissioned a pilot officer (second lieutenant) in the Royal Air Force. 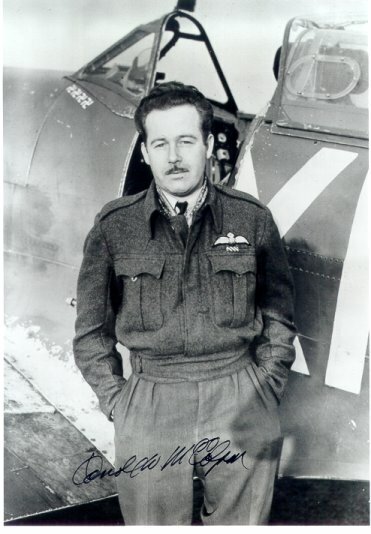 He advanced to the rank of squadron leader (major) in the RAF before transferring to the U.S. Army Air Force in the grade of major, at London, England, in September 1942. General McColpin served in the 607th, 71st and 121st RAF Fighter Squadrons and commanded the 133rd Fighter Squadron in England in 1942. Following his transfer to the USAAF in September 1942, he commanded the 336th Fighter Squadron, 4th Fighter Group. Returning to the United States in 1943, he was assigned duty as assistant deputy for operations, 3rd Fighter Command, Drew Field, Fla., and he subsequently assumed command of the 407th Fighter Bomber Group at Lakeland, Fla. in September of that year. In January 1944, General McColpin was appointed commander of the 404th Fighter Bomber Group at Myrtle Beach, S.C. and moved that unit overseas to England where he remained in command through the English, French and Belgian campaigns. In December 1944, General McColpin transferred to the 29th Tactical Air Command as director of combat operations. He returned to the United States in March 1945 and served as deputy and later as commander of the 3rd Fighter Command Gunnery School at Pinellas, Fla., until February 1946, when he proceeded to Germany to command the 335th Fighter Group at Schweinfurt, Germany. General McColpin returned to the United States from Germany in October 1947, to command the 31st Fighter Group at Albany, Ga., until February 1950, when he entered the Armed Forces Staff College as a student. Upon his graduation from the Armed Forces Staff College in July 1950, General McColpin was assigned to the Continental Air Command at Mitchel Field, N.Y., and later to the Air Defense Command, Colorado Springs, Colo., as director of operations and training. In June 1952, he was transferred to Eastern Air Defense Force Headquarters as the deputy for operations, were he remained until entry into the Air War College in July 1954. After graduation from the Air War College in June 1955, General McColpin assumed command of the 64th Air Division (Defense) at Pepperrell Air Force Base, St. Johns Newfoundland, Canada. He was transferred to Headquarters North American Air Defense Command, Colorado Springs, Colo., on Aug. 1, 1958, as director of operations and served in that capacity until July 1962. General McColpin commanded the San Francisco Air Defense Sector at Beale Air Force Base, Calif., from August 1962 to June 1963, before his assignment as commander, Portland Air Defense Sector, Adair Air Force Station, Ore. In October 1964, General McColpin was named vice commander, 28th Air Division (SAGE), headquartered at Hamilton Air Force Base, Calif.